Trade shows are a big draw on your time, energy, and budget, but they can be more than worth the effort if everything goes well. You can generate revenue for your company, make connections in your industry, and help participants and vendors alike benefit from a chance to interact. To ensure your success, you need to make good choices early in the trade show planning process. One of fastest and easiest choices to make is to choose online registration services from Advanced Tradeshow Technology. The Advanced Tradeshow Technology team has years of industry experience and a drive to customize all our products to your needs and objectives. We don’t believe in the cookie-cutter approach, because the logistics of every trade show are different. We want to help you succeed, which is why we provide extensive registration services. Read more to learn how our online registration platform can help your next trade show be the best one yet and contact Advanced Tradeshow Technology today to get started. Registration is the first interaction you have with potential attendees, which is why it is so important to have a fast and easy registration process. Everyone expects online registration in this day and age and your participants deserve a seamless experience. 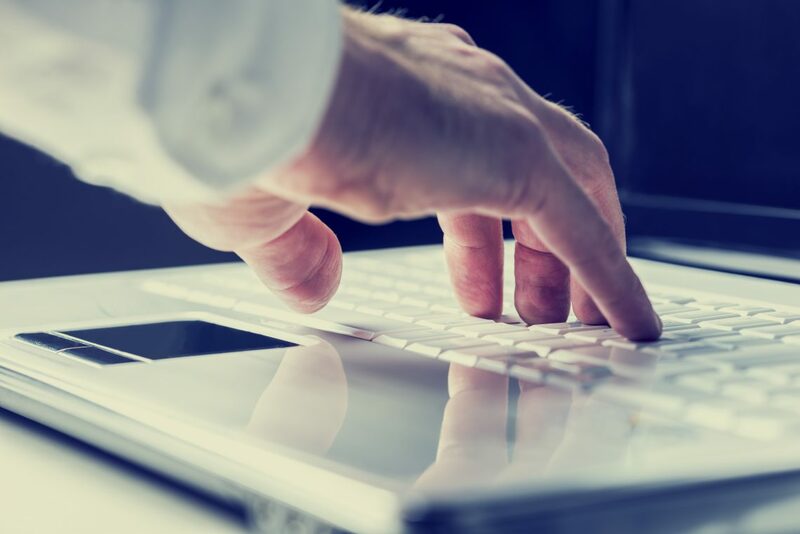 Advanced Tradeshow Technology offers a 24-hour, online registration platform that will make the process easier for both participants and organizers. We can customize our proprietary software to your event and integrate other services like session booking and confirmation. Remember, your event experience begins here. Make sure it begins the right way. Working with paper forms and illegible handwriting can be a real drain on your time, budget, and staff availability. Let Advanced Tradeshow Technology’s online registration platform handle the administrative work so you can dedicate your resources to more worthwhile pursuits, like making your event itself better. With online registration, you have all the information you need in one place, including participant numbers and payments pending or received. You’ll have data you can immediately use to make your event better and Advanced Tradeshow Technology can create reports for a variety of post-show purposes. You can choose from our extensive pre-formatted templates or customize a template to better address the objectives of your specific trade show, and Advanced Tradeshow Technology can populate and distribute those reports quickly. Have the information you need for a successful trade show at your fingertips and easily provide data to quantify your success, whether that means financial reports or vendor and attendee statistics. In this day and age, the protection of personal data is at a premium. You need information from the participants of your event to make it worthwhile, but you also need to ensure that attendees trust you enough to provide actionable information. Assure them that their data will be handled appropriately with Advanced Tradeshow Technology’s registration platform. Our software is protected by the most secure software platforms available today. Pre-show and on-site registration can seem like two very different beasts, but Advanced Tradeshow Technology can make the transition between them easy. We provide browser-based on-site registration services supported by an on-site team to make sure that everything transfers smoothly. You will have prompt registration information that is accurate to the minute. Simply put, online registration can make everything better. It can minimize the bottleneck caused by a check-in process at the entrance of your event and reduce lines, creating a more pleasant experience for both vendors and participants. You will also have registration information that you can act on, giving you the ability to make real-time, data-based decisions. For example, you can track the popularity of break-out events and classes and make adjustments to the schedule or room reservations in order to reduce overflow. 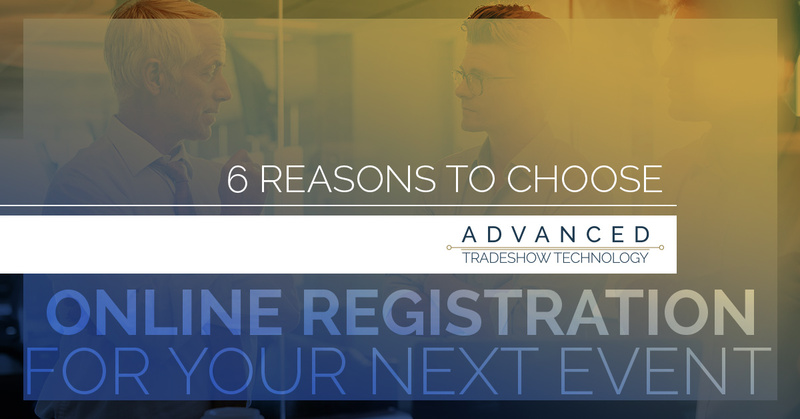 With online registration services from Advanced Tradeshow Technology, you’ll have at least one aspect of your event that you won’t have to worry about. Plan for success and utilize the cutting edge registration services offered by Advanced Tradeshow Technology. We want to make your next event the best one yet, and online registration can not only help you make a great first impression, save your company time and money, and smooth out the process for participants and organizers, but it can also provide you with secure data that you can use to make real-time decisions to better your show. No matter what industry you participate in, Advanced Tradeshow Technology can help make your trade show a success. We offer a hands-on, personalized approach to trade show planning, with a range of products that you can pick and choose from to meet your specific needs and objectives. Organizing a trade show can be complicated, but this decision is simple. Choose the trade show management company with more than 20 years of combined experience — call Advanced Tradeshow Technology today and learn how we can help you.